Blogger outreach and bloggers can make the difference to your content campaign’s amplification, in the second in our optimising webspace series we discuss why? Before digital marketing, there were two main ways to get your brand seen – advertising and PR. The online revolution has given us a third: Bloggers. But say the word ‘Blogger’ nowadays to those not in the know and you might be on the receiving end of an derisive eyeroll. Which is a shame and, we believe, very short-sighted. This valuable resource has been tainted by what can only be described as a deluge of third party publishers. I mean, think about it, EVERYBODY and his mate Dave is a blogger these days. In this our second post on optimising webspace, we’re aiming to re-establish bloggers and blogger outreach as a valuable element that can be a huge benefit to your marketing campaigns. Blogging took off in the late nineties. These writers, critics and reviewers started out making careers from what were once hobby blogs. Whether using wit, authority, well-crafted prose or all three, many bloggers managed to grow their readership to such a level that brands and advertisers sat up and took notice. Let’s have a quick look back before we look forward. From humble beginnings, Peter Robinson’s very funny Popjustice founded a record label, released branded compilations, held branded tours and broken pop news stories. Charlie Lynne’s film blog Ultra Culture was hailed the UK’s foremost film blog by reviews aggregator Rotten Tomatoes and hosted the national premiere of Spring Breakers. And Jack Monroe, the budget food blogger behind recipe site ‘A Girl Called Jack’ has earned worldwide media interest and become the face of Sainsbury’s ad campaigns. How’s that for the power of blogging? And lots of people sat up and took notice. Where’s there’s traffic, there’s cash and where there’s cash, you’ll quickly find people jumping on the bandwagon trying to exploit it. Hence the above mentioned eyeroll response. Blogging started to get a bad name for itself, what was once innocent and pure, spontaneous and organic, became cynical and cheap, lacklustre and cold. So what does today’s blogger look like? Well, for a start, don’t call them bloggers! It’s all about ‘Influencers’ now. Which, considering how much blogging has moved on in the last few years, is a far more accurate description. Gone are the days when a blogger could throw up low grade content on their blogs (their own or ‘borrowed’ from elsewhere), fling out some click bait, post tired listicles and sit back and watch the revenue pour in in line with their blog traffic. Today’s blogger understands the power of engagement, and harnessing top quality content on their blogs, their social media channels, images and graphics is at the centre of all this. The best blogs capture their readers’ imaginations, giving them reasons to return, stay and share. It’s actually pretty much the basis of DVO’s core proposition around content and engagement, and something brands the world over are keen to buy in to. When we worked with specialist travel operator Thompson Lakes and Mountains, we saw an opportunity for blogger outreach that feed content to not one, but two blog audiences. 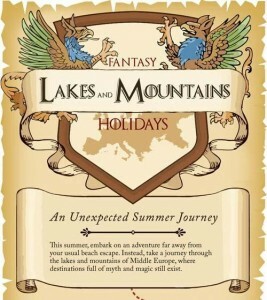 By creating a guide to the company’s most popular destinations inspired by the maps often found in fantasy novels, we worked with a number of influential travel bloggers as well as the fans of dramas such as The Hobbit and Game of Thrones. In doing this, we used this highly engaged network to spread word of Thompson Lakes and Mountains across multiple channels on our behalf. (Click the image below for the full infographic). The best bloggers are seen as proper, respected experts in their fields. No longer is running a blog just about posting about your Couch to 5K progress (or lack of it!) or what you ate for lunch this week. 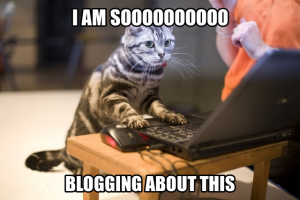 Good blogs are well researched and presented, understand their strengths and their audience. They produce useful and inspiring content which illicits a response and excites the reader, prompting them into action. Which in today’s saturated digisphere is no easy task.